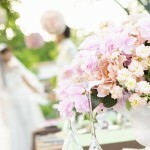 At Sovereign Weddings we can take care of pretty much all of your decoration needs. We provide a reliable and professional service tailored to each individual budget and requirements. We work to transform your venue into your dream! If we do not stock the products you require we will either source them for you or we will hire them in on your behalf at no additional cost to you. Please do not be afraid to ask for something we are not currently stocking we are always happy to help. Feel free to give us a call to discuss your requirements or book a no obligation consultation. 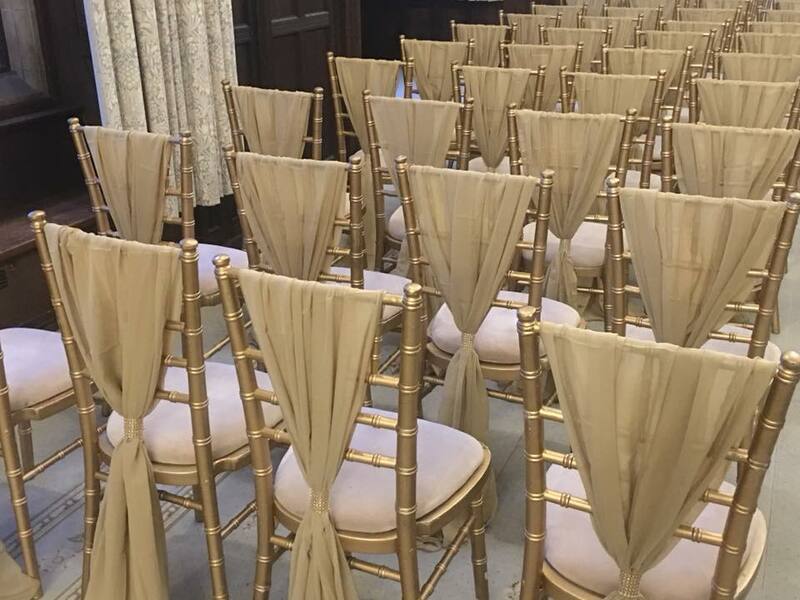 We stock a huge amount of items for you to hire to help transform your venue into your dream, be it a 5 star hotel, fantasy castle or village hall. We can hire you the items for you to use or we can come in and do it all for you. We cater for weddings, birthday parties, christenings, corporate events and anything else. 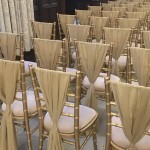 Hire items include Draping, dance floors, chair covers, Chiavari Chairs, LIGHT UP Letters and much more. 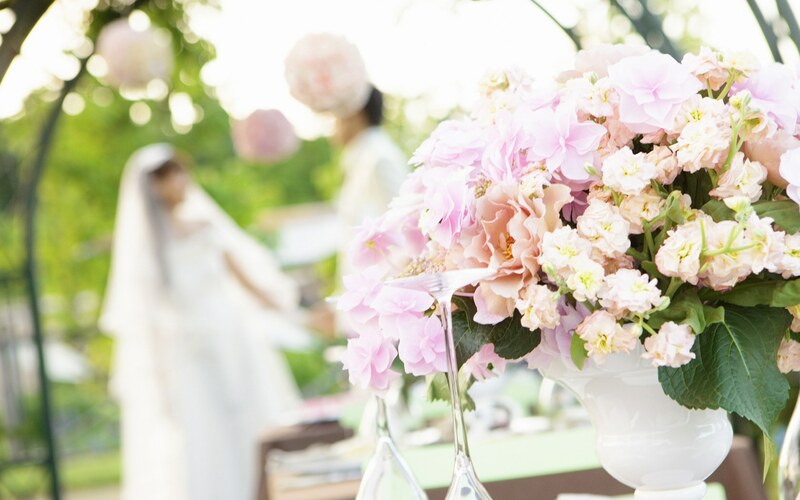 We can supply you with Flowers for table centres, bridal bouquets and button holes in Fresh or silk flowers and Fresh flower Thank you bouquets. 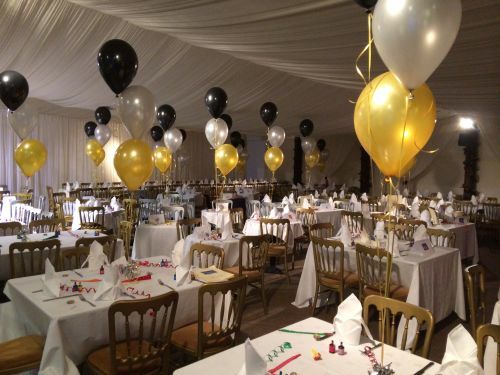 We can match any colour scheme or theme you require. 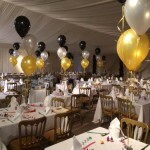 Balloons in various styles also available including arches, clusters, Numbers and letters. We supply a number of hotels and venues around Hertfordshire with Christmas Presents and stockings ready for them to give the children attending lunch on Christmas day, we can also supply you with Christmas party decoration throughout December on a purchase or long term hire agreement..